An updated species distribution map published this week in a new PLOS One study shows that the northernmost range of black widow spiders (Latrodectus variolus) has increased by about 31 miles (50 km) over the past 60 years. 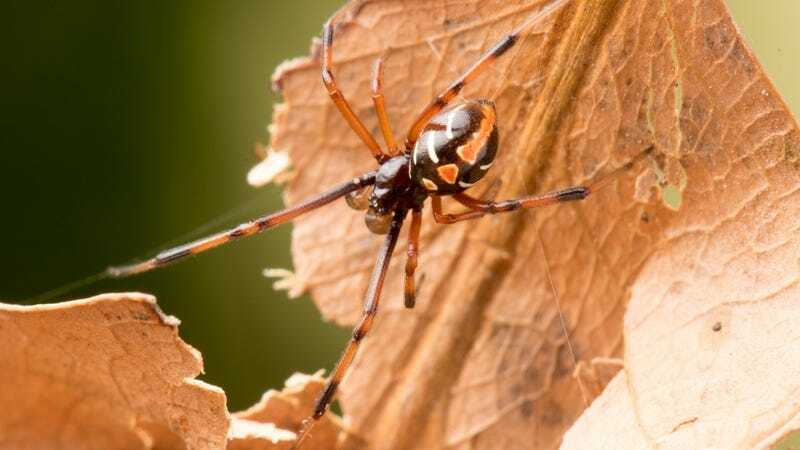 Because climate is a major factor in terms of where black widows can live, the researchers suspect climate change has something to do with its expanding habitat. Using statistical tests and modeling tools, the researchers removed anomalous or questionable observations from the database, which includes observations made from 1960 through to 2016. Data produced by citizen scientists began to appear after 1990. The team also compared the updated distribution map to previous ones to see how the range of the black widow spider’s range has changed over time. The same process was used to map the location and spread of another spider, the black purse-web spider (Sphodros niger). Together, they’re considered the first reliable distribution maps of the two species, showcasing the importance of data collected by people without scientific training. The updated species distribution map for the black widow spider in North America. These updated observations mean that health officials in regions not accustomed to seeing the black widow need to be prepared. Black widows like to build webs between objects, and bites, while rare, typically happen when humans come into direct contact with these webs, according to the US Center for Disease Control. A black widow bite can be distinguished by two puncture marks on the skin. The venom causes pain at the bite area, which then spreads to the chest, abdomen, or the entire body. The CDC says bites from black widows aren’t usually life-threatening for adults, but they can cause severe pain and aching muscle contractions. People who have been bitten by a black widow are advised to seek professional medical attention, and also clean the bite area with soap and water, apply a cold cloth to reduce swelling, elevate the bite area if possible, and to refrain from trying to remove the venom themselves. It’s very likely, the researchers say, that the black widow’s range is even greater, extending yet another 30 miles (50 km) north, possibly as far as Montreal (where no sightings have been made to date). The next step is to conduct further sampling efforts in habitats associated with these spiders. Black widow spiders may be small, but they’re easy to identify. For you citizen scientists out there, these spiders have a distinctive red hourglass shape on the underside of their abdomen, and they sometimes feature white slash marks on their back. They’re typically found in undisturbed placed and areas where debris has accumulated, such as in wood piles, under eaves, and on fences. They also like to hang around in outdoor toilets, where flies are abundant. When documenting a black widow (or any other creature for that matter), it’s a good idea to take multiple photos from different angles, include a size reference like a coin, and include geographic location. And of course, be careful to not get bitten.